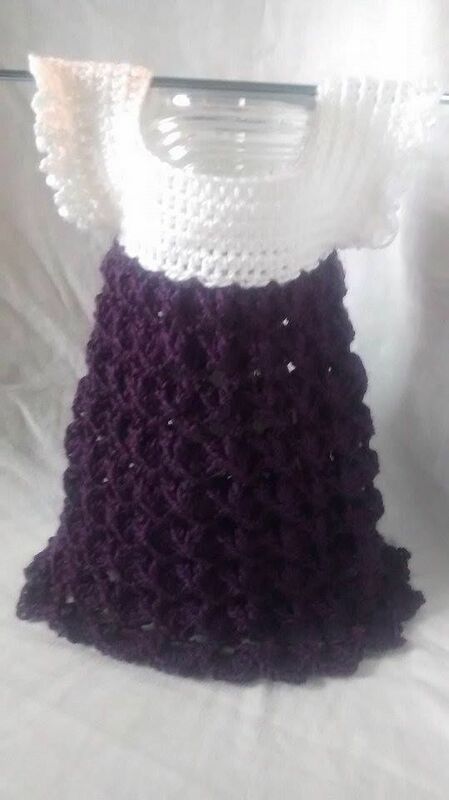 This beautiful crocheted baby dresses are for babies age 5 months – 8 Months. Each dress is hand-crafted by me with fine detailing that adds a unique touch to each little girl’s dress. The dresses are perfect for any weather. They can be worn on their own in the spring and summer, but can also be worn with a jumper and leggings in colder weather. Thanks for looking. If you have any questions feel free to ask.